Advance tickets available for our season opener on March 5! 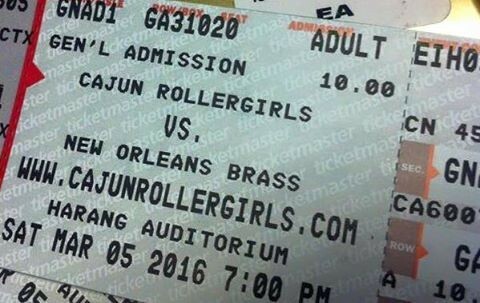 CRG Nation, advance tickets are available NOW for your Cajun Rollergirls’ season opener March 5 vs. the New Orleans Brass at the Harang Auditorium in Thibodaux! Advance adult tickets $10, children (6-12) $6. Contact your nearest CRG member to get your tickets!